Cameras are being installed to catch motorists driving in bus lanes. Six static cameras and a mobile detection unit will monitor drivers and issue £90 fines to those who flout the law. "What we are trying to do is make life safer and better for everybody." 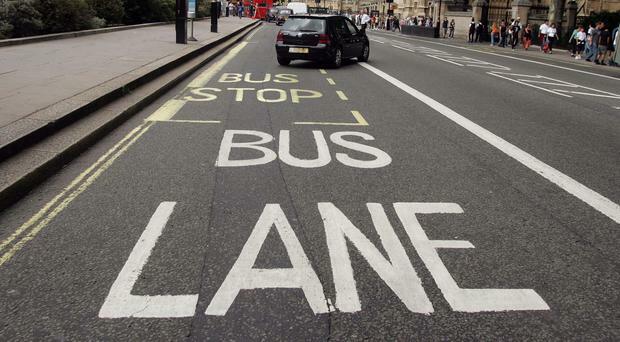 Mr de Burca said: "After June 21, do not drive in the bus lanes or you will be fined." Mr de Burca said they were here to stay. "We have no intention of getting rid of the bus lanes any time soon," he said. Transport minister Danny Kennedy said: " The enforcement measures are aimed squarely at the drivers who illegally use bus lanes to jump queues and cut across traffic."